Prostate carcinoma is second only to skin cancer as the most prevalent cancer among men in the United States. 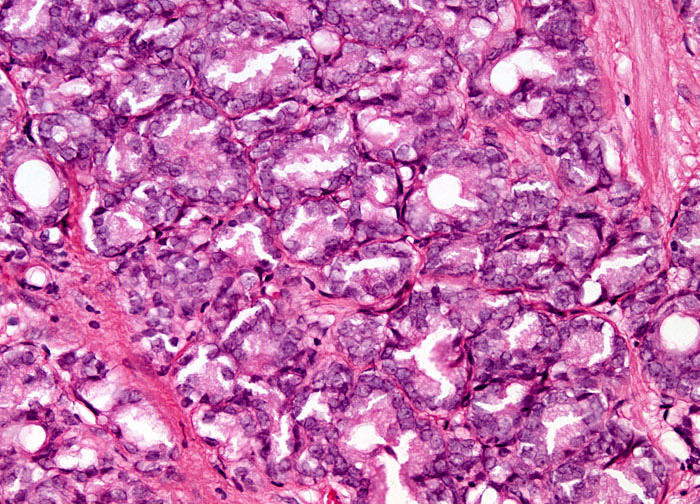 This type of tumor is most commonly discovered in men over the age of 55 and has a higher incidence among African Americans than Caucasians. In other parts of the world, prostate cancer rates vary greatly. Asian countries, such as China and Japan, report some of the lowest incidences of the disease. The racial and national differences in the occurrence of prostate cancer have incited much speculation about factors that contribute to its development. Some research suggests that there may be a link between diets high in fat or low in certain nutrients and the disease, while other studies seem to indicate that high levels of the hormone testosterone can increase the risk of prostate carcinoma. Another area of intense scientific interest is a possible genetic basis for prostate cancer, which is more common among individuals who have a close relative with the disease.